Wild Hogs Magnetic salt and pepper shakers. Height 3 1/2". 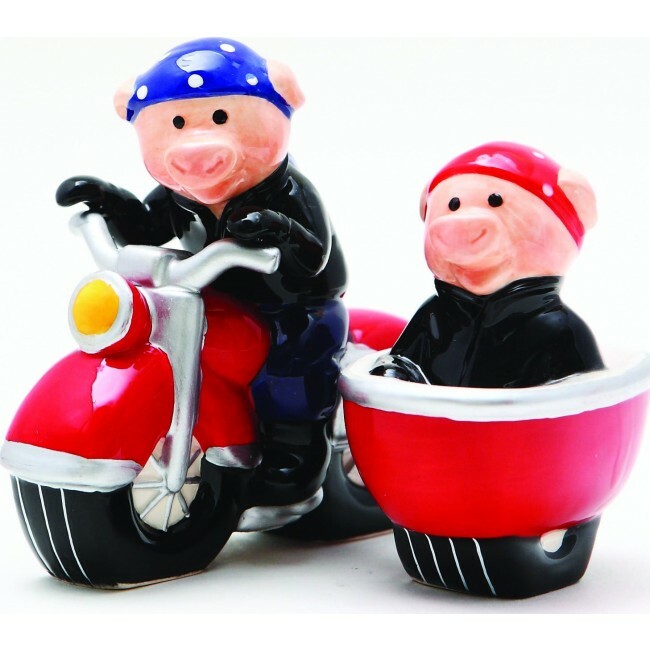 Ride often, ride free, and get this adorable Wild Hogs 3.5" ceramic salt and pepper shakers. Features a magnetic insert to hold the two shakers together.